Gypsum board is both a challenging and rewarding medium in which to work. 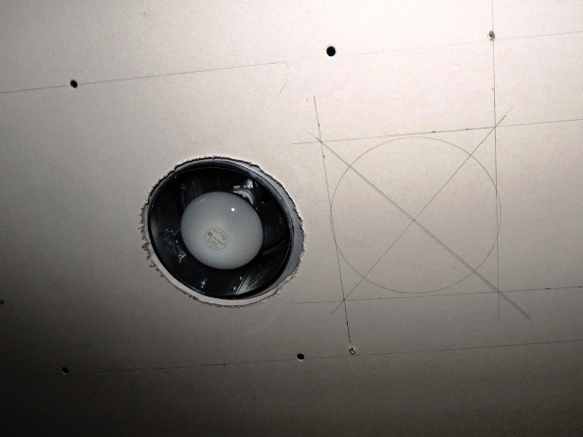 We had to cut the holes for the bucket lights before hanging the ceiling. It soon became apparent that I'm pretty good at measuring and cutting the pieces. The lore is that my husband's grandfather often said "Measure twice, cut once." Good advice, as sometimes your first measurements are off by about 10 inches. Its a good medium for leaving notes to yourselves. 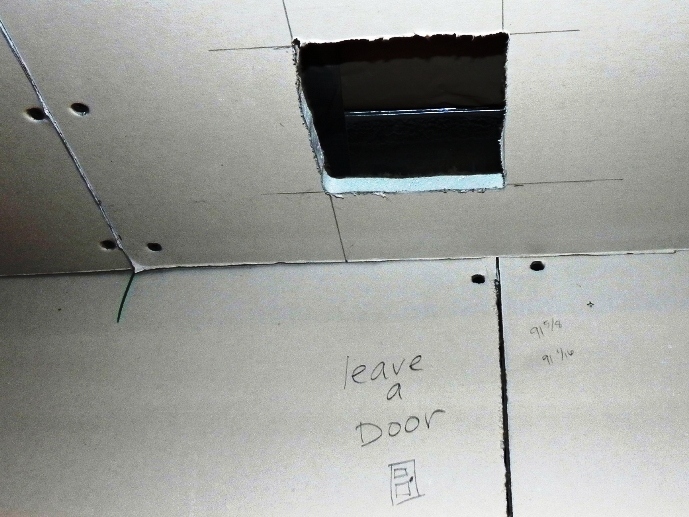 Here we had to leave a little access door for a duct valve. 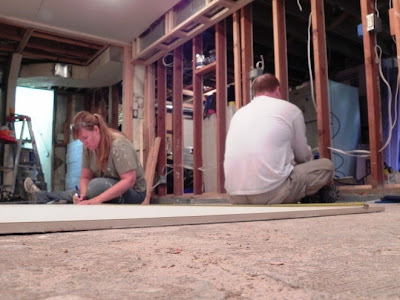 Given the number of times I did an initial mismeasure, its amazing we had and used exactly the number of sheetrock sheets we needed. 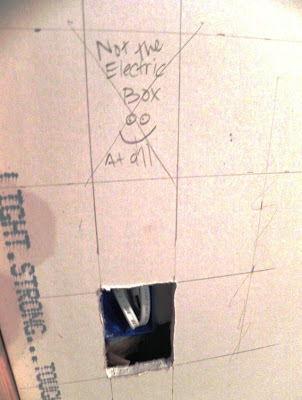 My husband is an excellent sheetrock estimator. 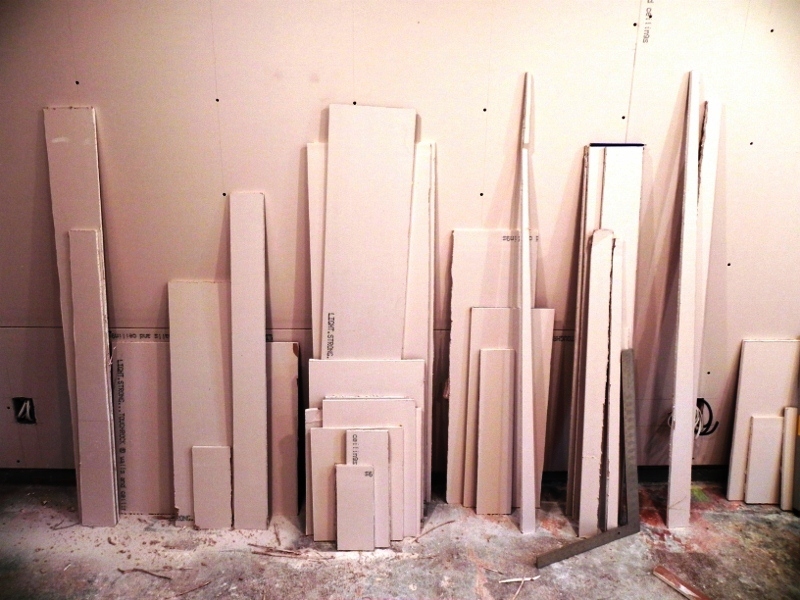 This is my orderly wall of remnants. And looks pretty much exactly like the remnants area would look if my husband was managing it. No. That's a filthy lie.